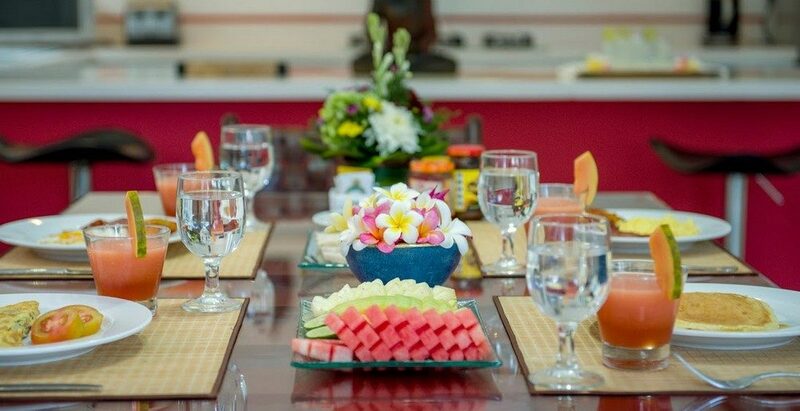 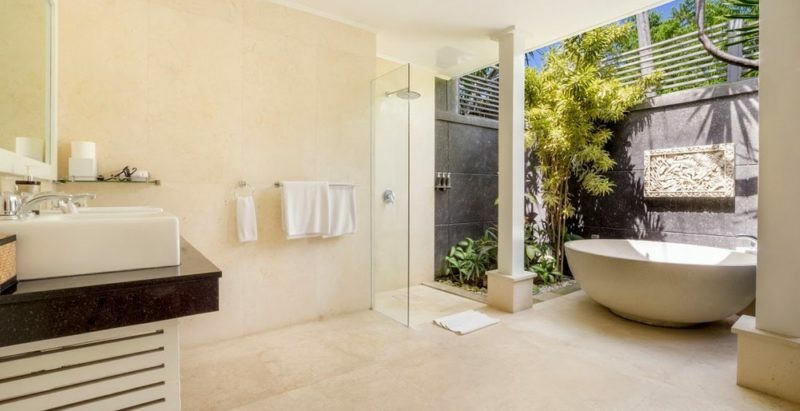 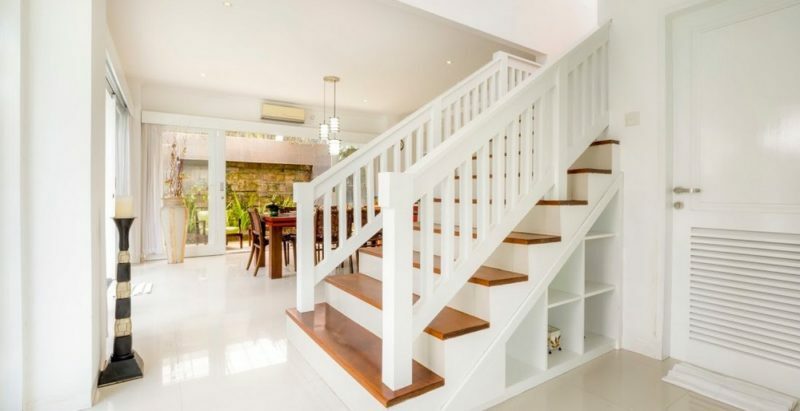 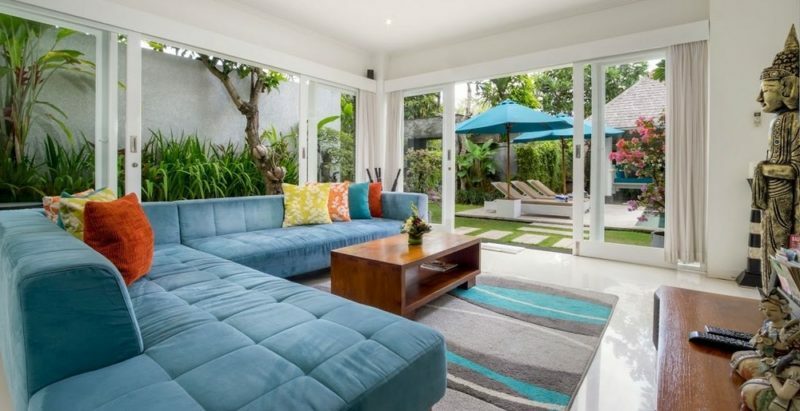 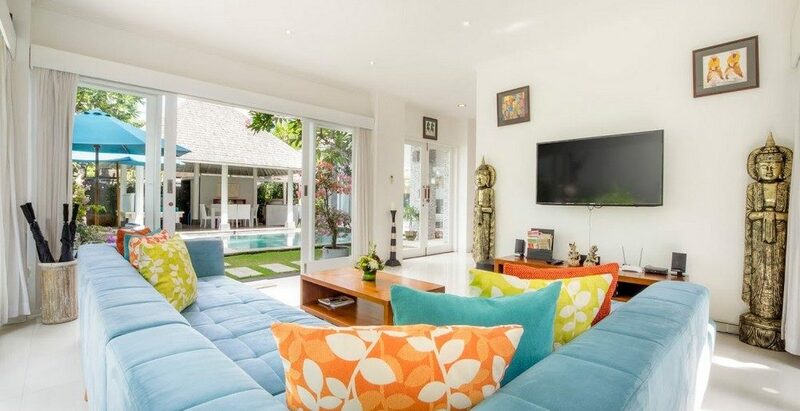 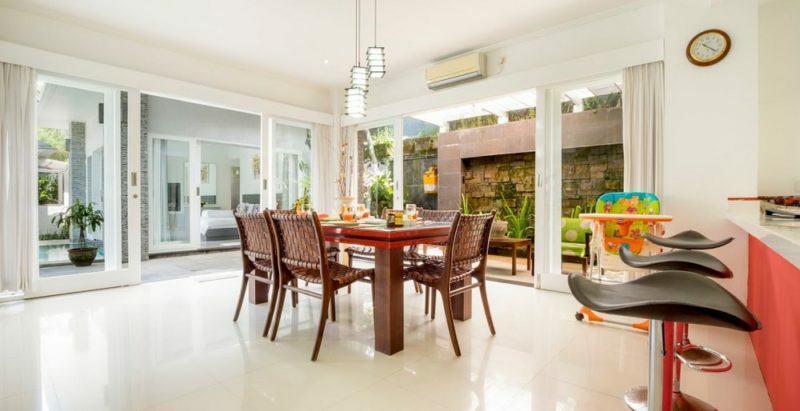 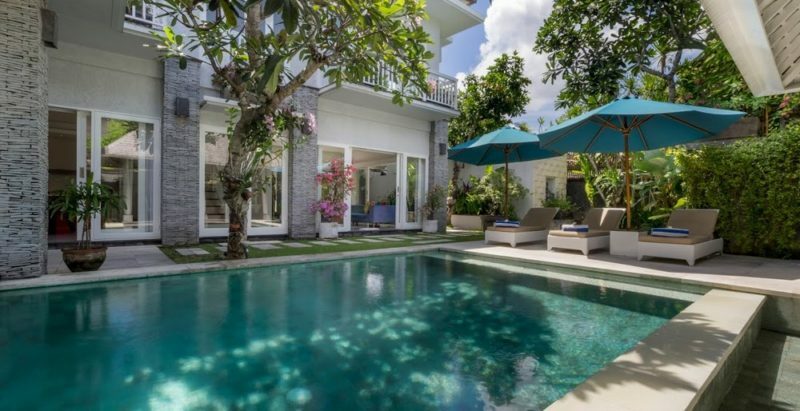 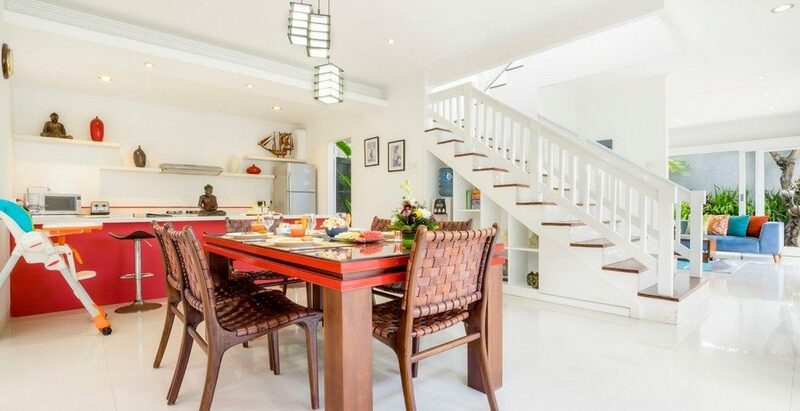 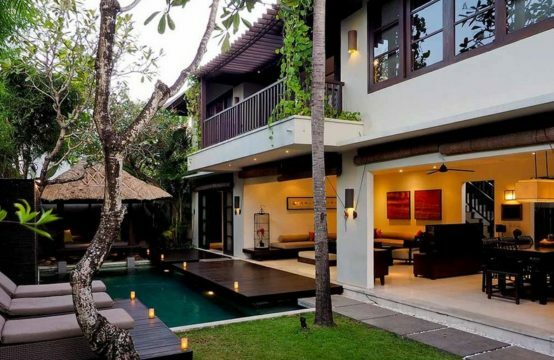 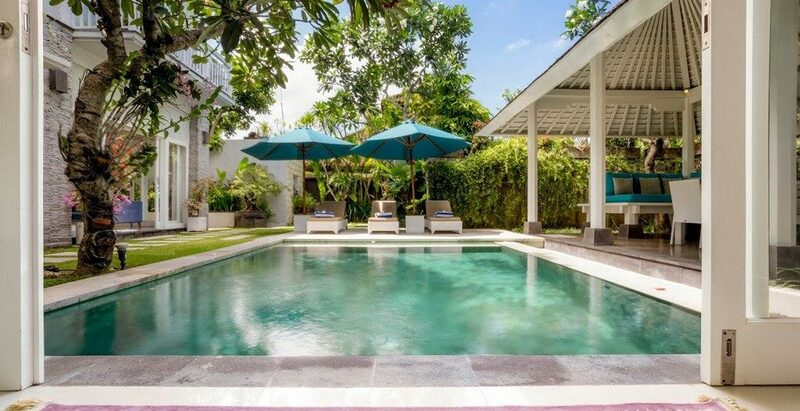 Villa Alun exudes tropical charm and modern style and comfort all at once. 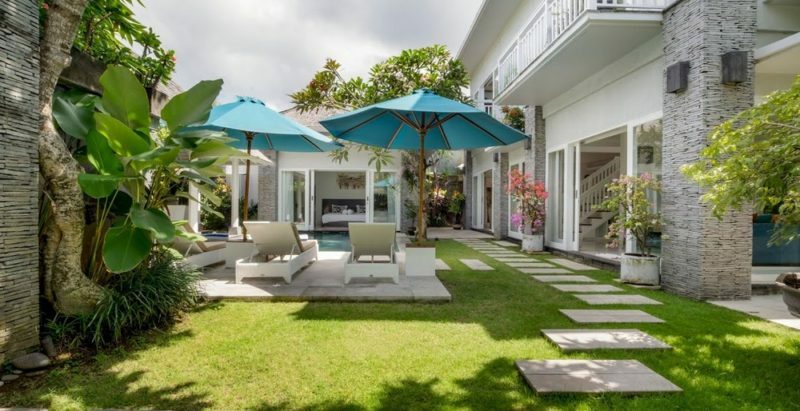 The estate features elegant all-white pavilions with Balinese high soaring rooftops, breezy balconies and tastefully designed interiors enriched by color-themes and Asian artifacts. 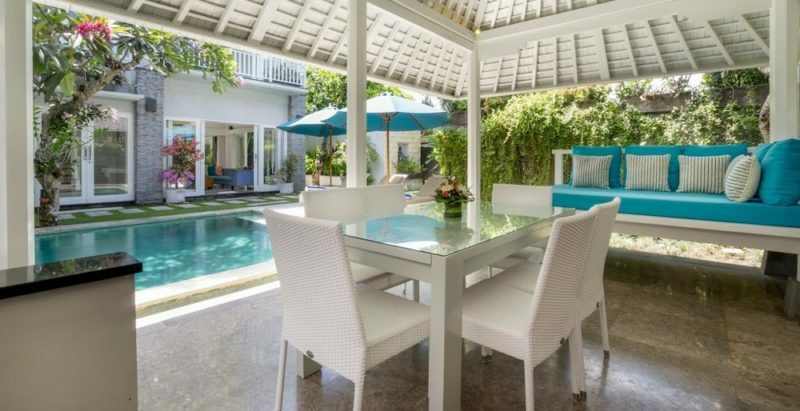 There is an open-plan poolside living space, complete with a day-bed, a sofa and a dining table – perfect for daytime lounging and garden BBQ feasts. 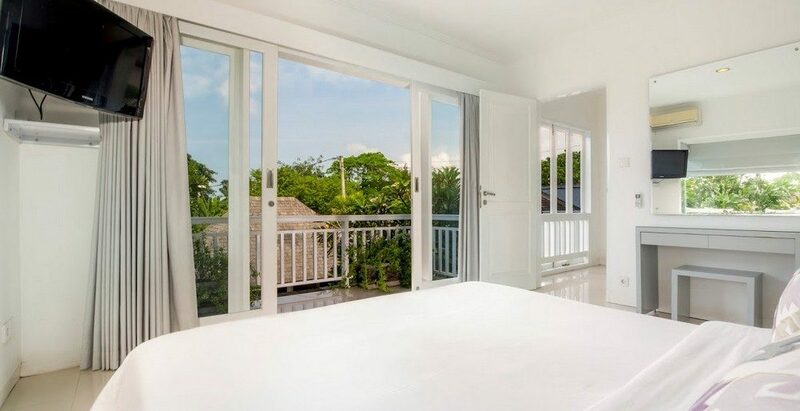 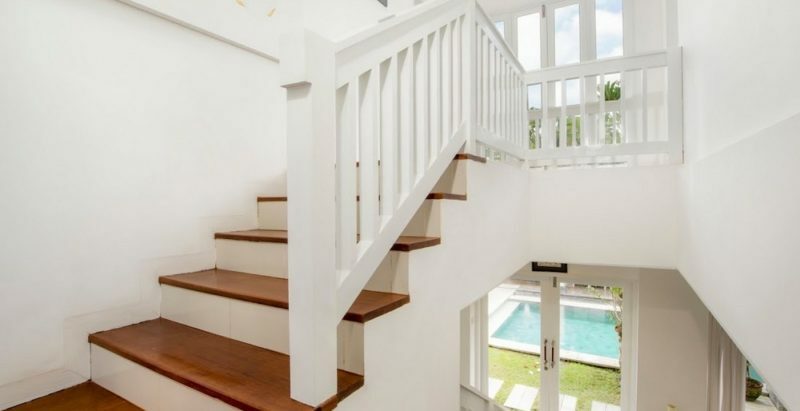 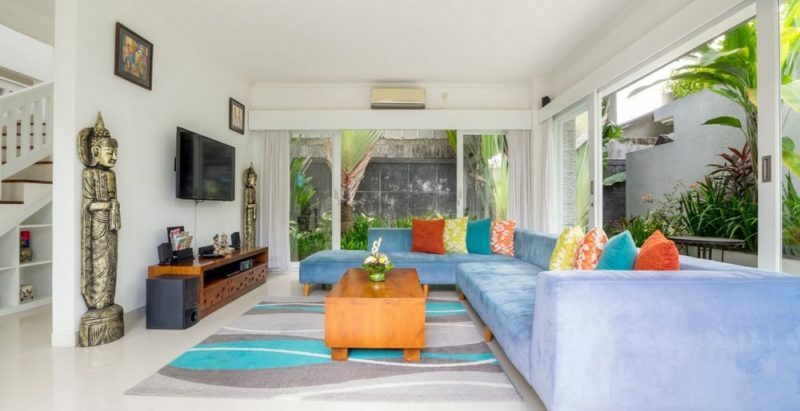 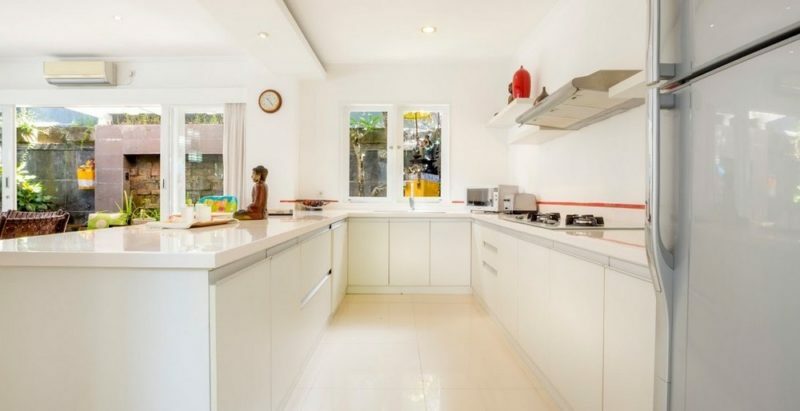 Villa Alun also features an air-conditioned living room designed with full-length glass sliding doors that open up to the garden, offering guests the choice to live the tropical way or to create a communal hub to escape the outside tropical heat. The lounge room features a beautiful, super comfy blue sofa where you can lounge on at any time of the day, reading a book or watching a movie on the high-tech television set with surround-sound speakers. 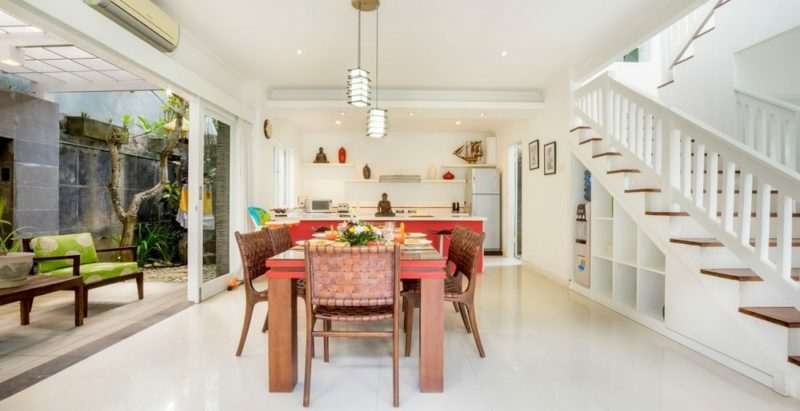 The dining wing is ruled by chic red colours, featuring a glass-topped red dining table for six and a state-of-the-art kitchen with a breakfast bar and stools. 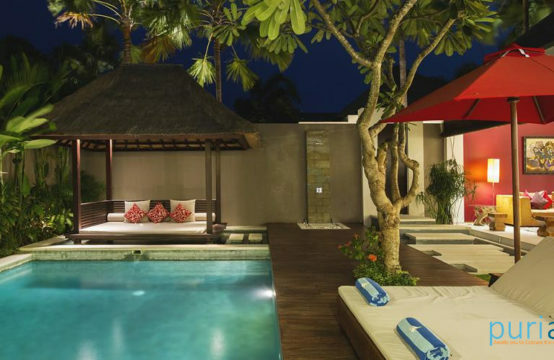 The garden is an exotic place featuring a fish pond, a Buddha sculpture, scenting frangipani trees and a special Bonsai Tamarind tree. 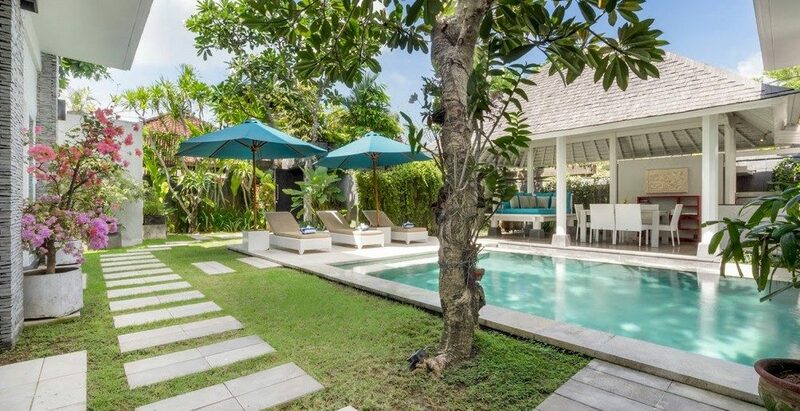 In the heart if the garden shimmers the private clear blue swimming pool, flanked by a stone sundeck with reclining chairs and big blue sun parasols. 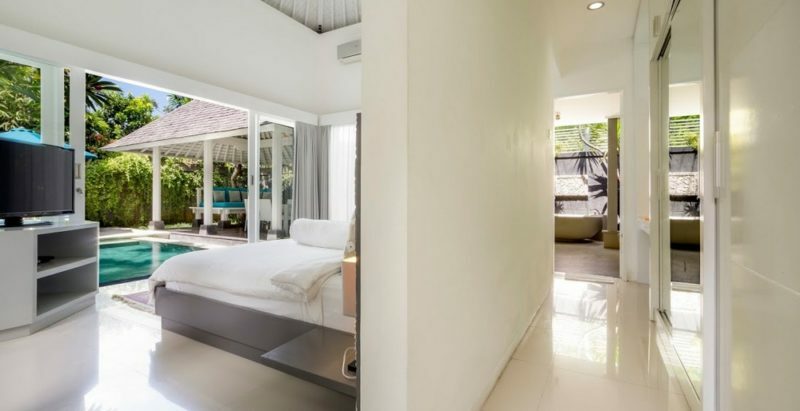 Villa Alun houses 3 light-filled, air-conditioned bedroom suites.The master room features glass sliding doors that open straight up to the swimming pool. 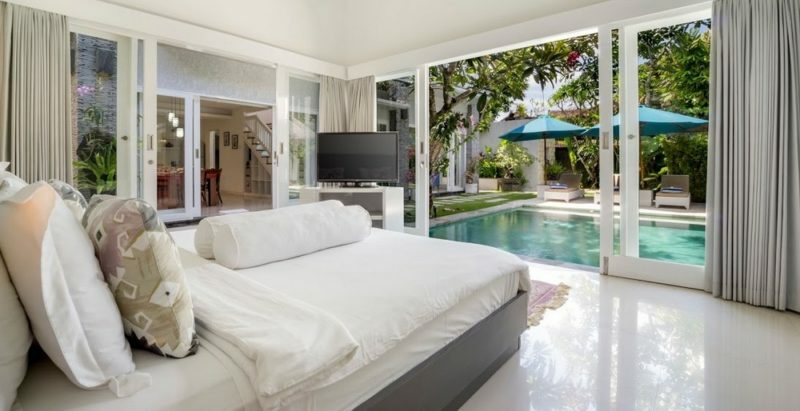 Great for those who enjoy a refreshing early morning dive into the water. 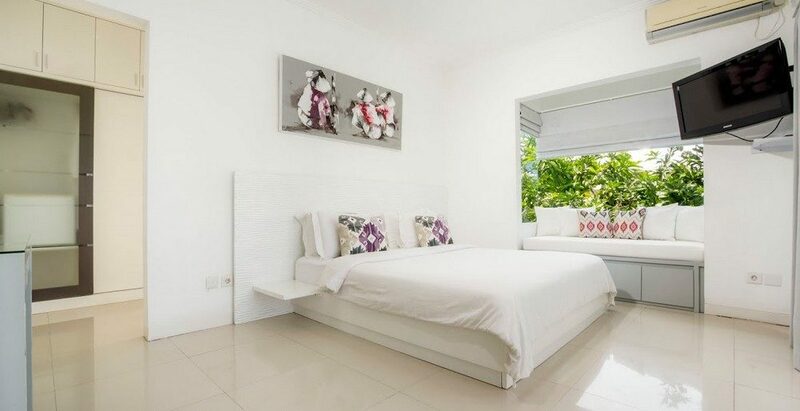 The room is fitted with a high-quality king-size bed, promising a perfect night sleep. 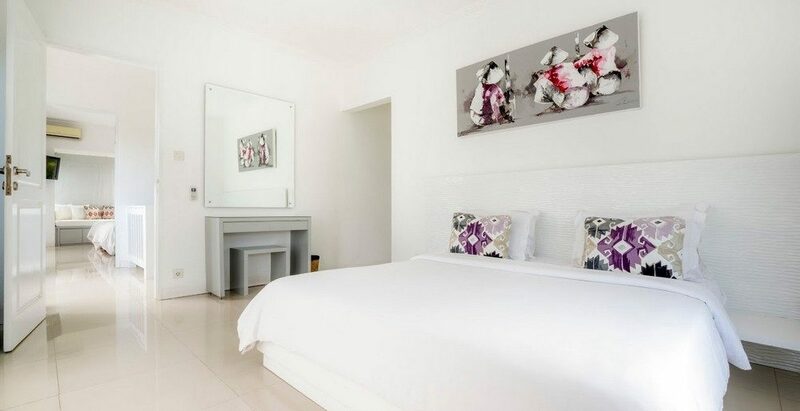 Modern amenities are also taken care of, featuring air-conditioning and a large flat-screen cable TV with a DVD-player. 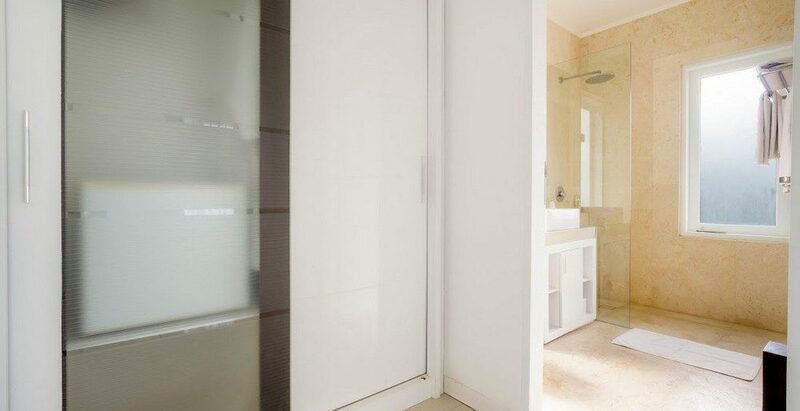 In the dressing room, there are large wardrobe closets with lots of storage space, equipped with a safe, kimonos and a little fridge for late-night thirst. The marble en-suite bathroom is partly open-air, fitted with an opulent circular bathtub, a relaxing rain shower and dual vanity.The two guest bedrooms are located up on the first floor of the main house, adjoined to private balconies to soak up the early morning sun to the view of the garden and the swimming pool down below. 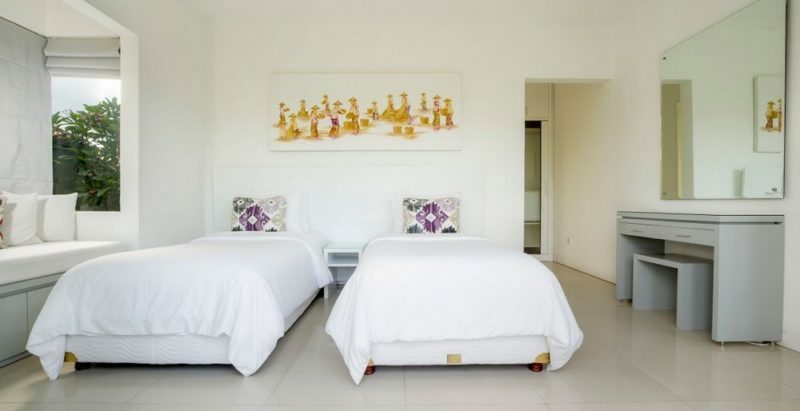 One room features a queen-size bed and the other twins which can be pushed together to configure it into one large king-size bed. 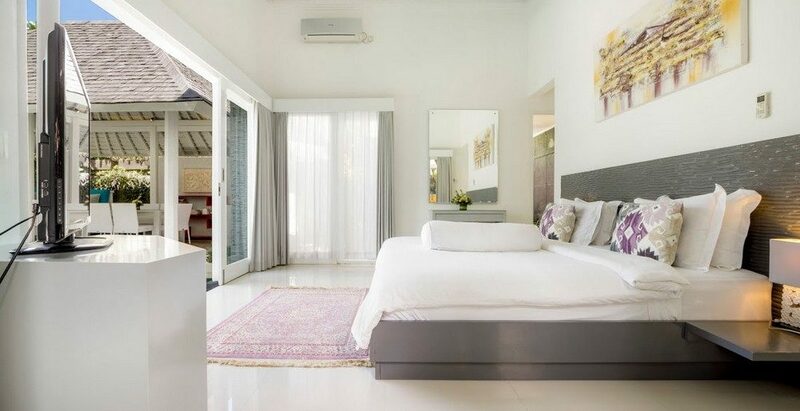 Both rooms are air-conditioned and they come with satellite-TVs, DVD-players and sofas, perfect for reading or daytime lounging with the sun shining in through the glassed walls and doors. 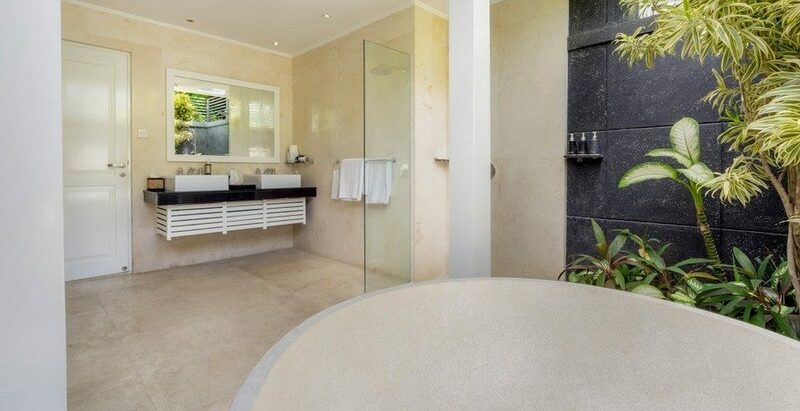 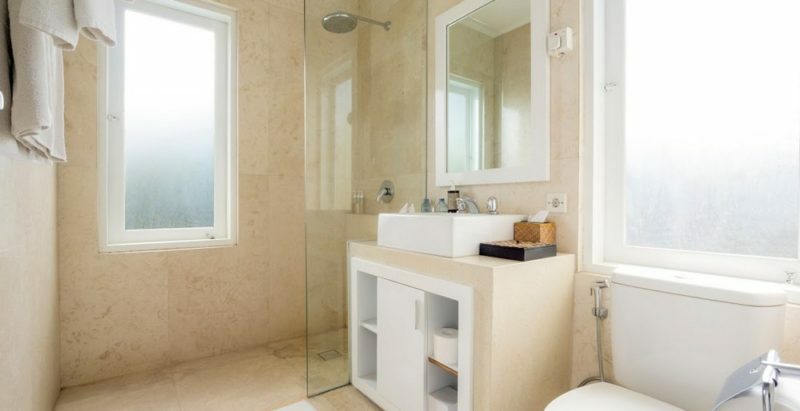 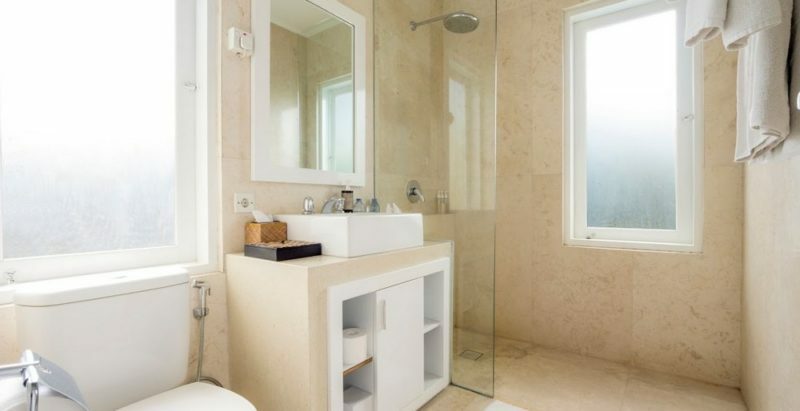 The en-suites are fitted with relaxing rain showers. Bathroom guest amenities are catered for. *Rates are inclusive tax and service charge. For Period 15 Sep – 20 Dec 2018 the Rate for 2 BR USD 295 and 3 BR USD 330. 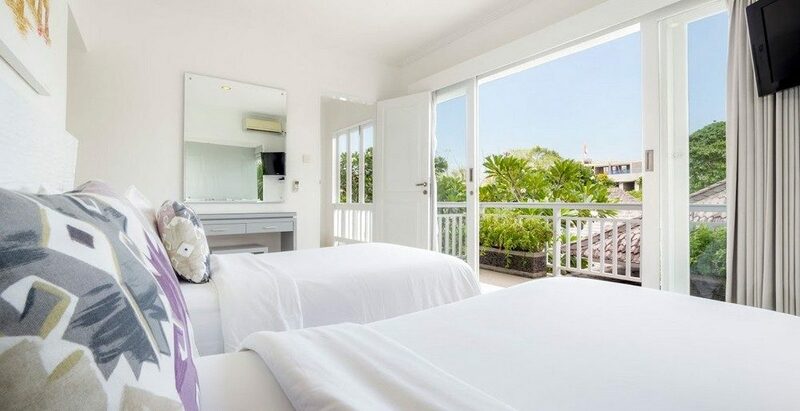 For Period 20 Dec – 11 Jan 2019 the rate is 2 BR and 3 BR is USD 500.